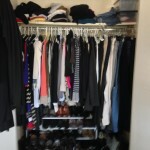 Spring is here and summer is around the corner. 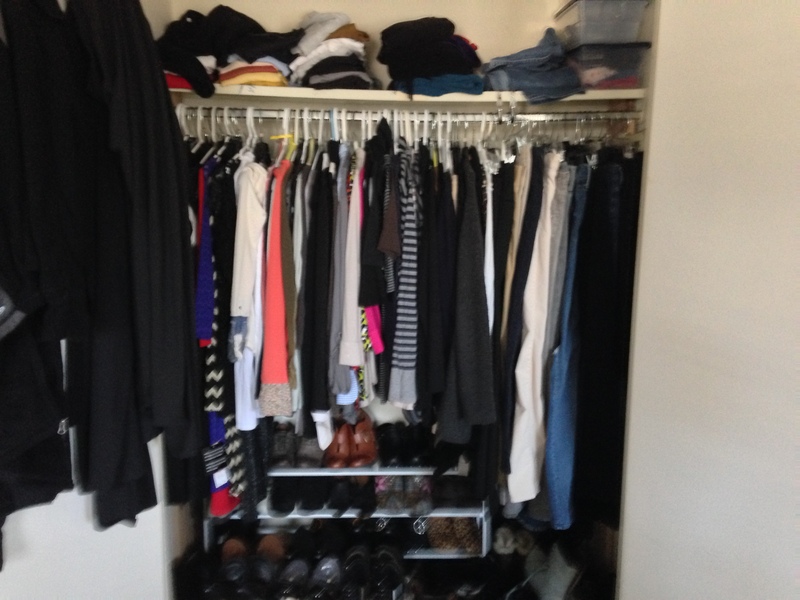 Time to organize your closets. 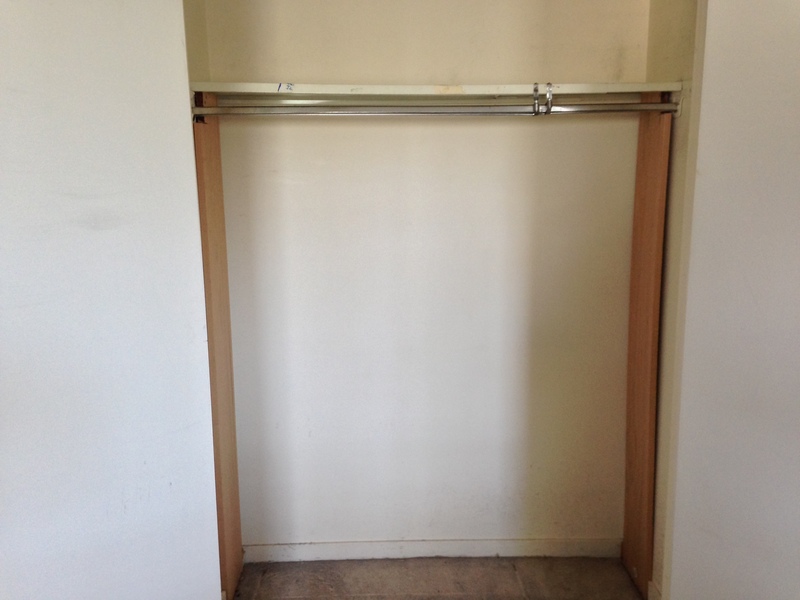 We will start with an older closet that had a straight pole running across the top. 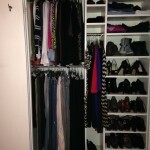 Then we will show how you can personalize your closets to meet your clothing/accessory needs. 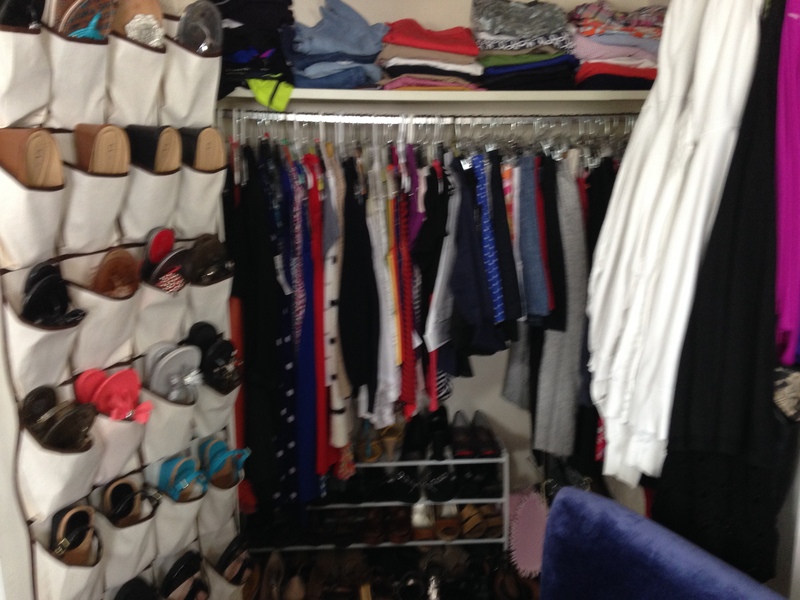 Third shot of closet before makeover – see how everything is hanging from one bar and is scrunched in the middle. Now, look at the closet with a personal touch. 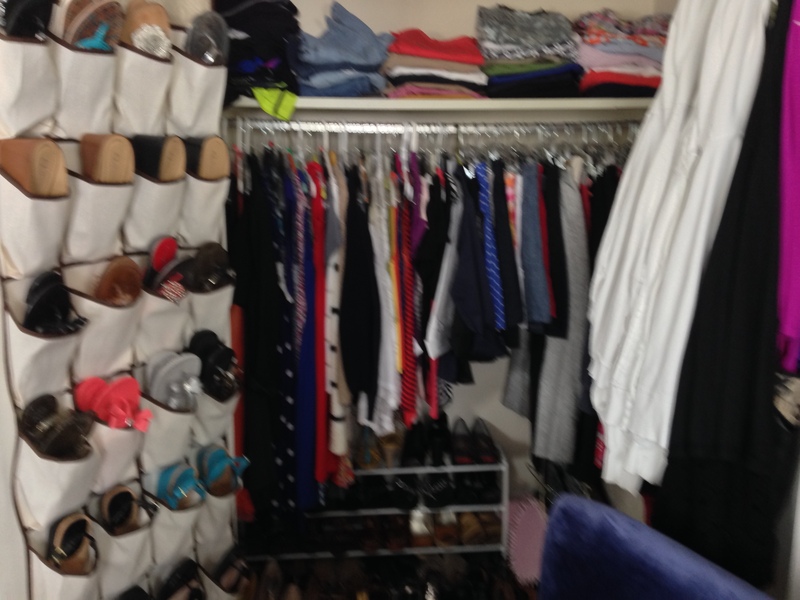 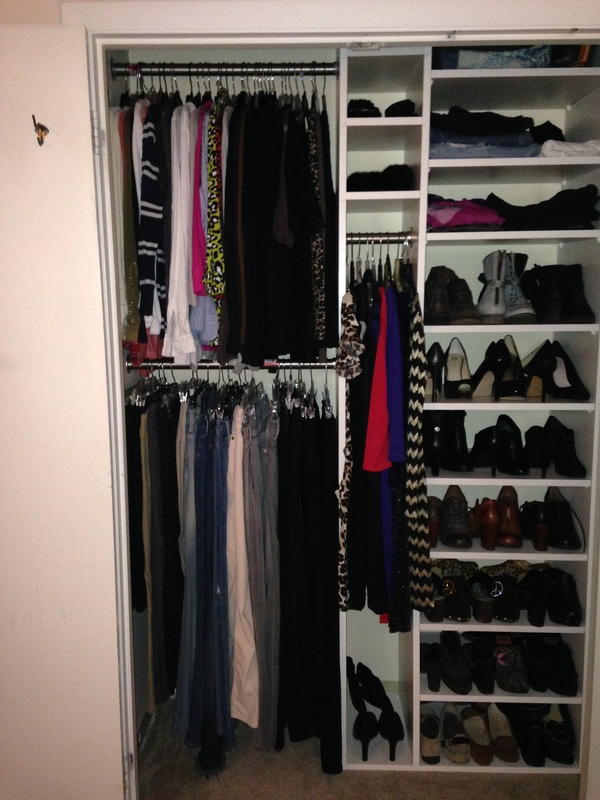 Owner needs certain amount of space for pants, dresses and shoes. 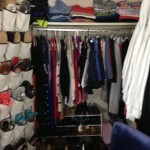 Everyone’s different and we take that into account when designing new closets. 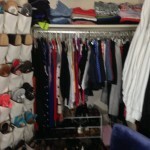 Finished closet is now rocking and rolling in organization. 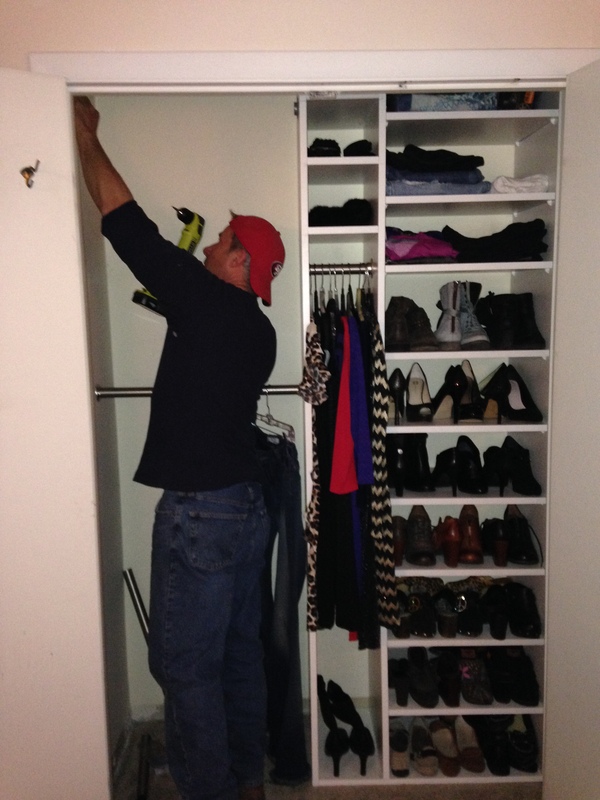 You couldn’t not find anything, really!